I hope you're all doing good and enjoying the fact that it's almost Spring time. I know I certainly am! 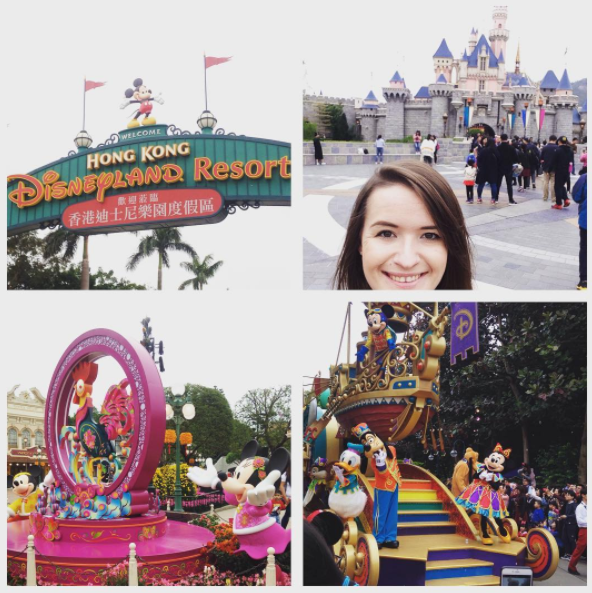 My best friend and fellow Disney devotee, Tash, recently travelled from her home in Shanghai to Hong Kong for a short trip and naturally, she had to check out Hong Kong Disneyland along the way! 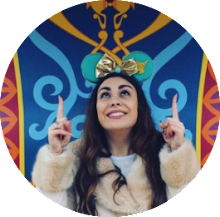 As I have never been to the Hong Kong Disney park myself, I was very eager to hear what she had to say about it and what her experience entailed! 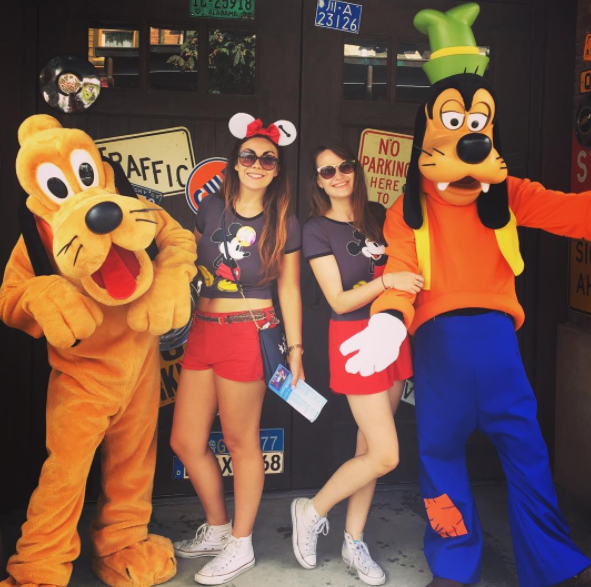 So here it is, a catch up with my oldest friend and all details about her day in Hong Kong Disneyland! And, because I'm so good to you all (or perhaps because Tash and I chat far too much!) there will be three instalments of Hong Kong Disneyland magic posted on My Disney Blog so watch this space and make sure you subscribe for parts 2 and 3 which will be coming over the next few weeks. Ready for Part One? Enjoy! Tash: My first impression was that the castle was actually SHOCKING! Obviously I had seen photos and videos of it before I went, and I had seen photos of people standing in front of it but when I actually saw it, it was... I kind of gasped! I was shocked because it is just tiny! And that kind of made it feel like... well, when I first walked in, it didn't feel like Disneyland. Apart from that, the park overall in general... I did like it. It reminded me a lot more of Anaheim than of any of the other Disney parks that I have been to. I think again, because of its size, as it is a lot smaller [like Anaheim]. They were the two first things that I first thought. 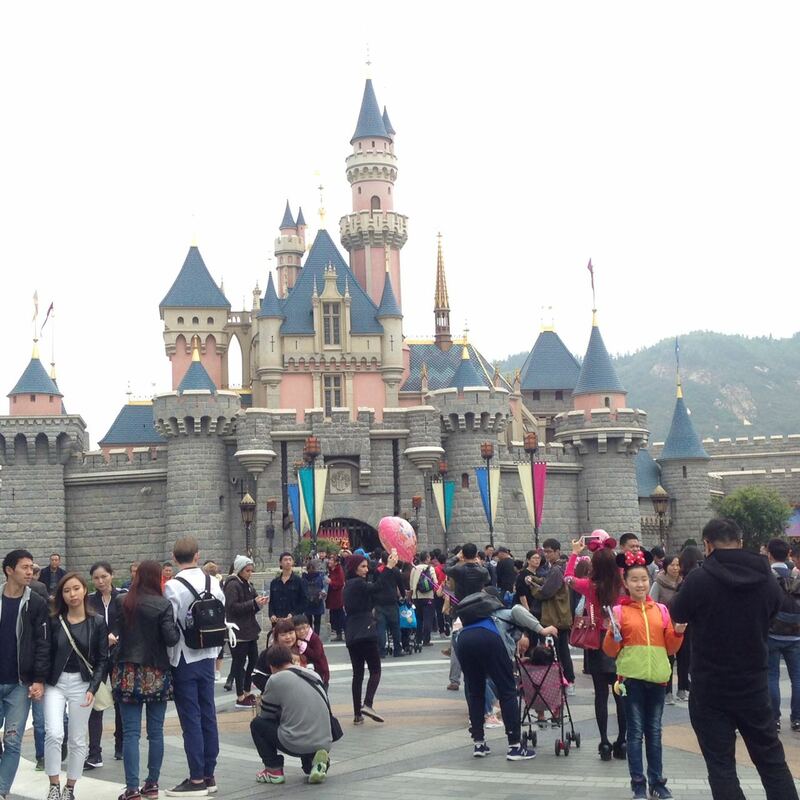 Mercedes: Do you think that the reason the size of the castle shocked you so much was because the park that you have been visiting more frequently recently, is Shanghai and that is home to the biggest Disney castle in the world? Tash: I think so, yes. That is probably true, but I also think that when you go to any Disneyland and you walk in, you see the castle and then you know that you are AT Disneyland whereas, with Hong Kong, it didn't feel like that at all. It felt like a rip off! 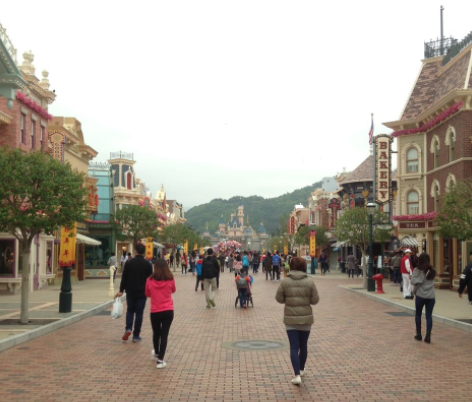 When I walked down Main Street, I felt like I had gone to some obscure theme park in another Asian country that was trying to replicate Disneyland. That's what it felt like. The view down Main Street USA... can you spot the castle at the end? Mercedes: Are there any stores or interactivity or anything like that at the Hong Kong Disneyland castle? Tash: Nope. It's basically a fancy arch. Mercedes: Wow. So I assume, based on what you've said, that you think it's good Hong Kong are knocking that castle down and putting another in its place? Tash: Yes. They need to because I think that they need to be able to compete with Shanghai. The only appeal that Hong Kong now has is that, because it is difficult for people to obtain a Chinese visa to get into mainland China, they will still get visitors that are passing through to Japan and Australia and other countries. They'll still get those visitors but there is absolutely no reason for people from mainland China to go there anymore [now that Shanghai Disneyland has been built]. Mercedes: That's a really valid point. 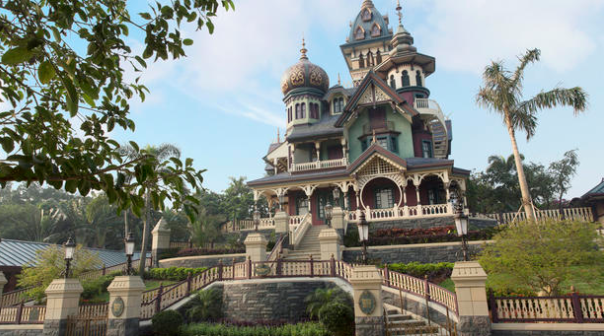 The next thing that I'm really eager to ask you about and I think that its the thing that I would be most excited about if I were going to Hong Kong Disneyland myself, is Mystic Manor. So I have to ask you about that! How was it? Tash: Yep. So Mystic Manor - you have to understand that before I go to a new park, I don't like to do too much research because I kind of feel that I still like to be surprised and I don't want to have too much expectation - but obviously, I had heard all of the hype about Mystic Manor and I had heard that it was one of the 'best Disney rides ever'. So, the first time I went on Mystic Manor, I was waiting for something amazing to happen like you know, the first time you go on Pirates of The Caribbean in Shanghai - well, maybe not for you because you watched it on YouTube! But, the first time I went on it, I knew there was going to be advanced technology so I knew that it was going to be very different from anywhere else and, it did take my breathe away! This was the same on Soaring Over The Horizon and Soarin' Over California, the first time I went on those rides and I didn't really know what to expect, it's just so beautifully done and so amazing... I was kind of waiting for something like that to happen [on Mystic Manor] but nothing extraordinary happened. I was a little bit disappointed and left feeling 'oh, is that it?' however, I then went on it again at the end of the day, because I wanted to give it a second chance and that time, I just focused on the soundtrack, the story, the characters, just the general look and feel of the ride and after that, when I already kind of knew what was coming, it was a lot better! I do think it's an amazing ride and probably was one of my favourites at Hong Kong Disneyland, but I don't think I would say it was 'the best Disney ride' that I have ever been on. attractions so maybe, when it was made, it was quite innovative? Tash: Yes. Definitely. I was thinking about this today actually. I think if there hadn't been the hype, and that ride had been in Anaheim and I had a nostalgic connection to it, I would probably say that I liked it better. Obviously, Phantom Manor is a classic, but they can't have that ride in China because of their beliefs about the afterlife. So it does work very well as an alternative. I really liked the strong story line and characters which help it all come together. Mercedes: Can you give us a 'spoiler free' synopsis of what the story line is and how it differs from Haunted Mansion? Tash: So, the story is that there is a Professor who goes around collecting relics and he has a Monkey as an assistant. They find this box and there are rumours that if you open the box, it has the power to make inanimate objects come to life. Mercedes: Awesome. Kind of Beauty and The Beast-esque! Tash: Yeah. It's very mythical, very magical. There was just nothing outstanding about the way the ride actually operates I would say. 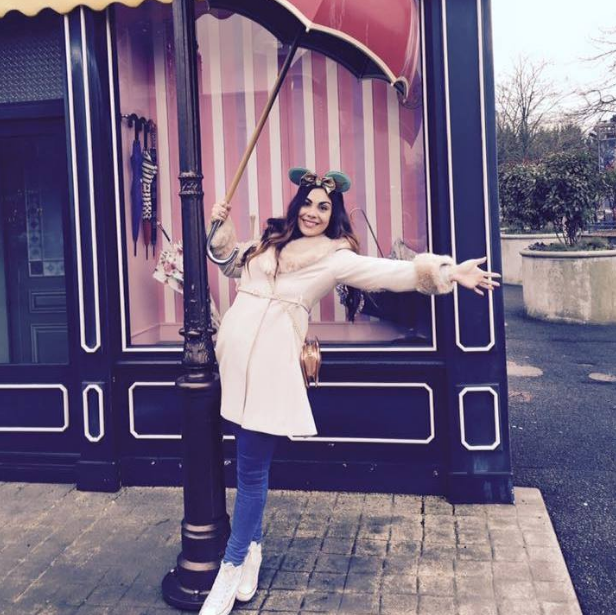 Mercedes: Okay, so what was your favourite attraction at Hong Kong Disneyland? Tash: My favourite attraction was Big Grizzly Mountain which was definitely, by far, the best version of Big Thunder Mountain that I have ever been on. Again, I had not done research so I had no expectations so, I hadn't realised that it goes backwards! The first time that I went on it, it went up the big hill and started to roll backwards, and I seriously thought that there was a problem with the ride and that it was going to crash! I was panicking because of what happened recently at Alton Towers! It takes you onto another track after that and then, it does that 'shooting-start' like Rita at Alton Towers which again, I wasn't expecting so for those two reasons it was the most unexpected and the best version of Big Thunder Mountain that I have ever been on and my favourite ride at Hong Kong Disneyland! Mercedes: Great. Something else that I have really wanted to ask you is kind of based on my experience of Shanghai. One of the things that I really liked about it there was that I saw a lot of unique merchandise and foods - this is also why I am so desperate to go to Tokyo as I see a lot of cool stuff from there on Instagram! Was there anything like that in Hong Kong? Tash: I was very disappointed with the merchandise in Hong Kong. There was no big "World of Disney" store like they have in Shanghai and Anaheim. 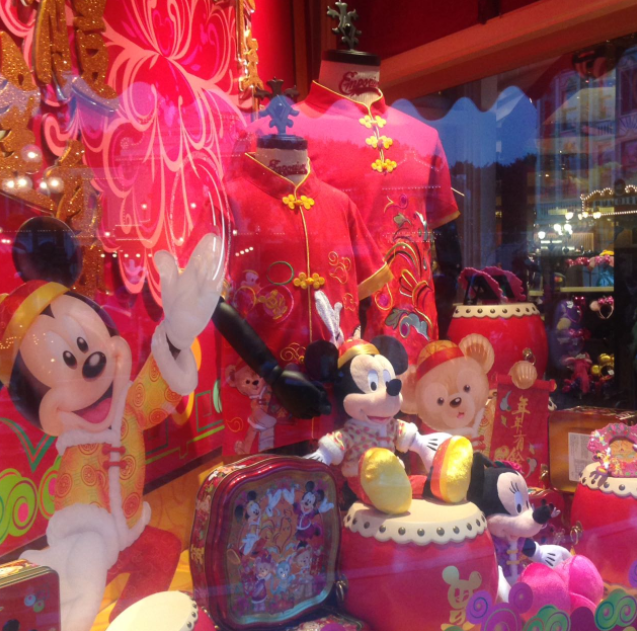 The merchandise was exactly the same as it is in Shanghai except that it said 'Hong Kong Disneyland'. I collect Minnie Mouse soft toys and there wasn't even a specific Hong Kong Minnie; there was a Chinese one, but she was very similar to the Chinese Minnie that I already have from Shanghai and because she didn't have any Hong Kong branding, I couldn't justify purchasing her because also, Hong Kong is so much more expensive! Mercedes: That's interesting! Do you think that's because of the relationship between Hong Kong and Britain? Tash: It's in keeping with Hong Kong in general. Hong Kong is more expensive than mainland China... even more expensive than Shanghai which is relatively expensive in comparison to other mainland Chinese cities. 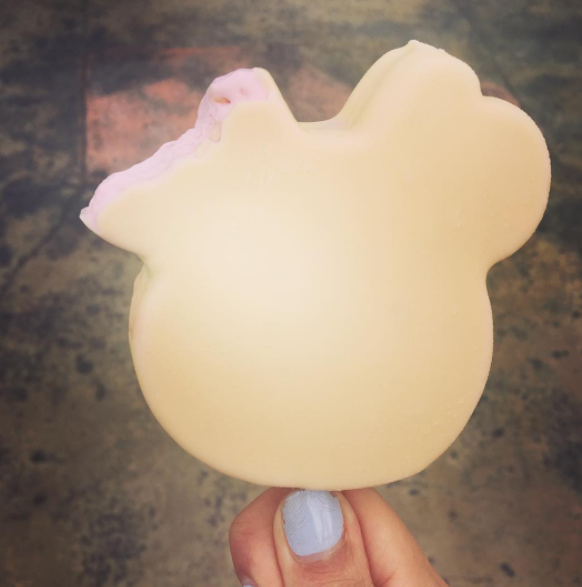 Everything from coffee to merchandise was way more expensive than Shanghai Disneyland. Mercedes: I see. I was also wondering, as English is more widely spoken in Hong Kong, how did you find the language in the park? Was there more English than in Shanghai Disneyland where it is very limited? Tash: Yes. Much more English was used which was a very good thing for me. Don't get me wrong, I do not mind the Mandarin used on the attractions in Shanghai however, it's difficult for me when the songs are not in English, especially during the fireworks as it makes the songs lose any emotional, nostalgic connection for me I suppose. In Hong Kong, all of the songs are in English. They do use Cantonese also, but it's all very clever. In Shanghai, the Frozen Sing-Along show was all in Mandarin without any subtitles, but in Hong Kong during the Festival of The Lion King, which is the show they're running at the moment, most of the characters would speak in English and a couple of characters would summarise what was happening in Cantonese. This didn't detract from the story so I could still follow along perfectly well. In other shows, they would have subtitles at the sides. 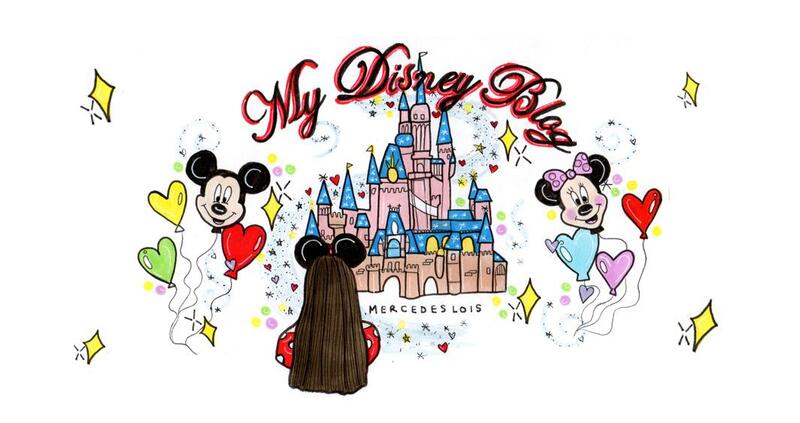 Mercedes: From what you've said, this sounds really similar to Disneyland Paris; during Disney Dreams! the firework show there, Peter Pan speaks English and Wendy is French and they will communicate with each other in such a way that both languages watching can understand what is happening. Tash: Yes, they did this on the Iron Man Experience too! Tony Stark was English and the other characters were speaking in Cantonese.